The children's cutlery by the designer Alfredo Häberli for Georg Jensen convinces with a connection of class and luckiness, which is typical for the Swiss designer. Learn to eat with enjoyment: every member of the wonderful Alfredo children's cutlery is the result of the hands-on sketches of mother, father, son and daughter – all of them by the creative hands of the designer Alfredo Häberli. 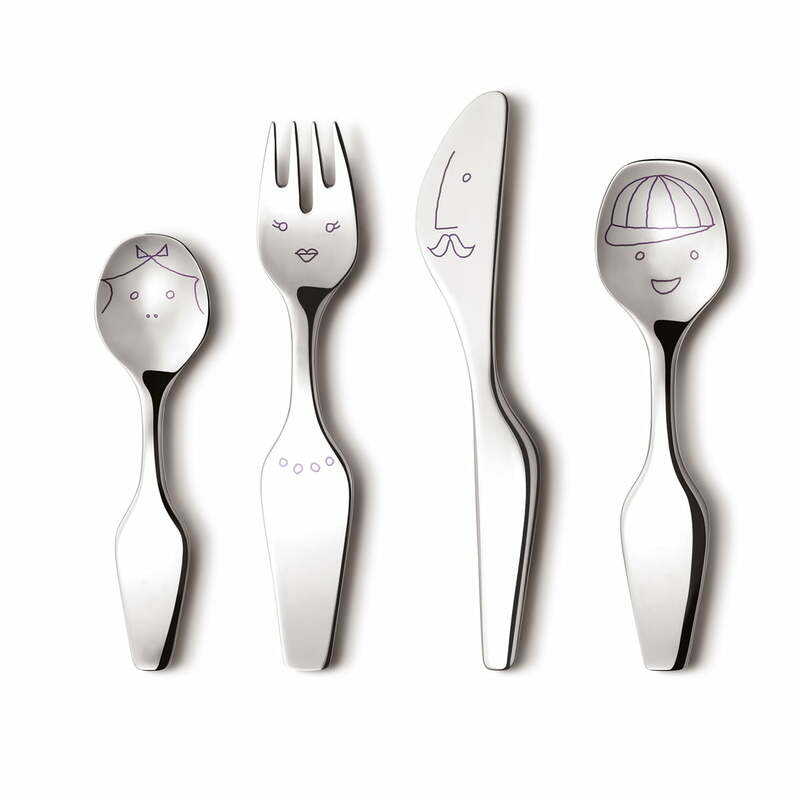 The Alfredo Häberli children's cutlery is a joyful collection with spoon, fork, knife and tea spoon for small people. Because of the forms, the Alfredo children's cutlery by Georg Jensen lies greatly in small hands. The cutlery consists of high quality stainless steel and is therefore robust and durable. I bought several sets to be the gift for my friends' children, they all feel so exciting and happy.